The forum had four tracks coupled with some common talks in a mixture of Deutsch/German and English speakers. 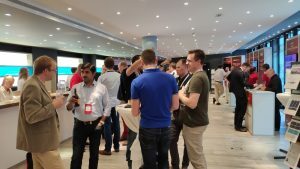 Three of the four tracks were a composition of tech-talks from the partners with a diverse topics mixture: PaaS, IaaS, going serverless, automation of code, and integration / deployment of systems. 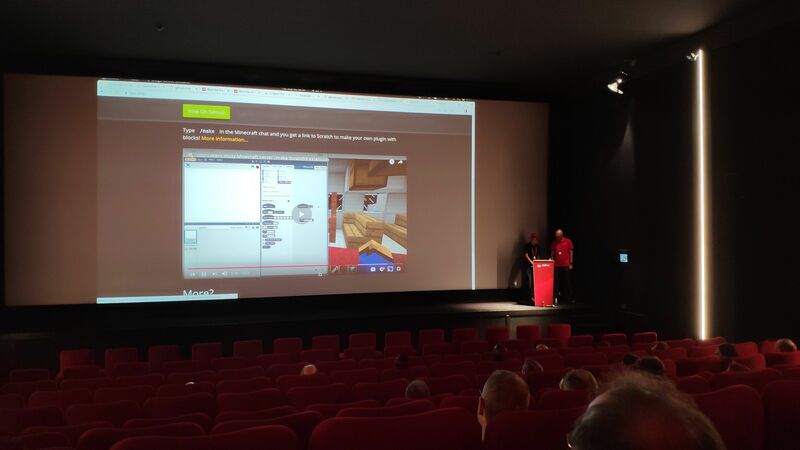 The fourth track was on the hands of Red Hat itself and it was a “Deep Dive into Tech” showcase with unrelated but interesting mixture of topics in which they even included one focused on the use of Minecraft to teach programming. Is interesting to remark the lack of proper researching topics/talks within the sea of “this is our experience with X tech” talks during the event… Having a track dedicated to innovation and development could be a great improvement for future forums, and of course we’d chip in with some presentations on our applied research work with OpenShift, Helm and ManageIQ. 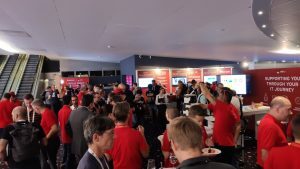 On the other hand, the most interesting part of the event was the incredible great opportunity for networking that Red Hat gave to the more than 700 participants that went to the event. 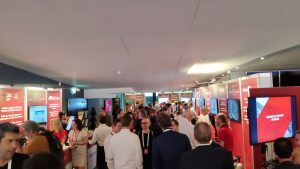 It was a great chance to take the pulse of the industry by the hand of all the key decision makers, executives, engineers, developers, suppliers, and sponsors/partners of the event present there. 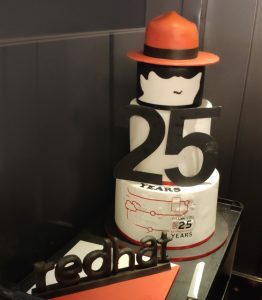 But an event such as this Red Hat Forum couldn’t end without a surprise, so the people from Red Hat also made us participants of their 25th anniversary! So, happy birthday Red Hat! Cheers for another 25 years of such a great commitment with the OSS community! 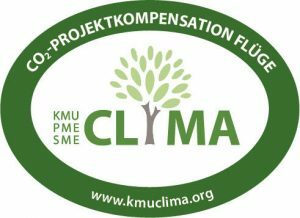 To sum up, it was an interesting event with a great chances for networking and still room for improvement on their talks sessions. 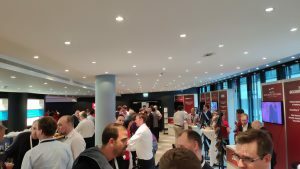 Remember you are invited to register to our Big Data event (BDCAT 2018) and the European Serverless symposium (ESSCA 2018) on the 17-21th of December. We hope to see you all there, and if you want to submit a lightning talk on FaaS, please do!